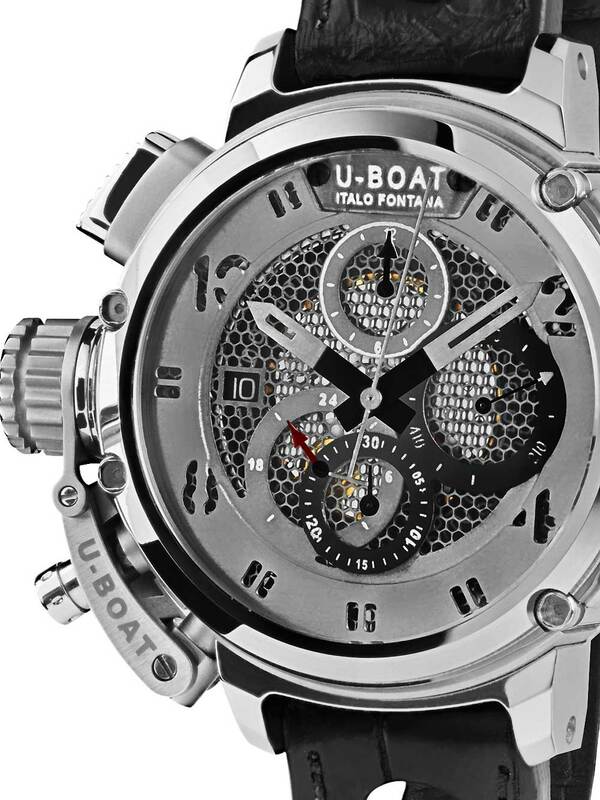 MOVEMENT: GMT automatic mechanical chronograph personalized to U-Boat specifications for date display and stem to be positioned at 9 o’clock, second time zone. Freqüncy: 28.800 vibrations per hour, 4 Hz. Power reserve: 48 hours. 25 jewels. Height: 7,9 mm. 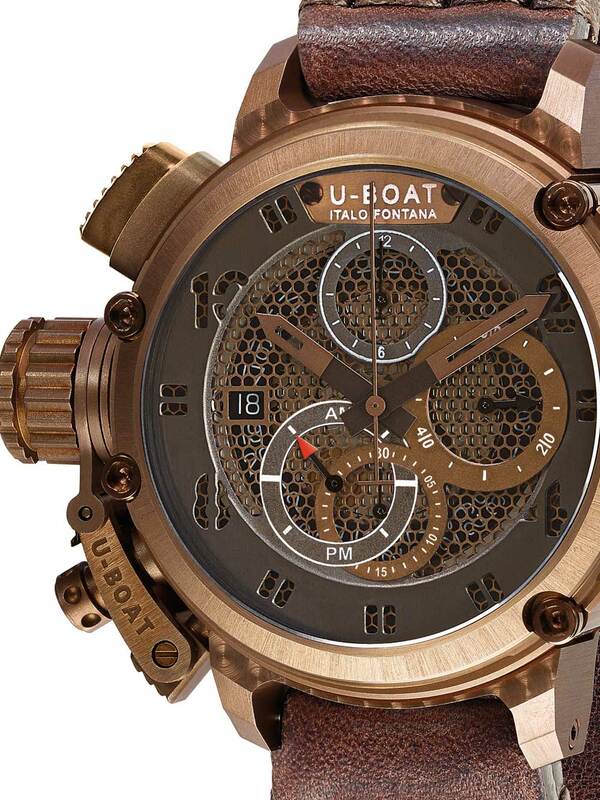 FUNCTIONS: Hours, minutes, small second, chronograph 60 s, counter 30 min and 12 h. 24 hour hand with time-zones mechanism. Date window at 9 o’clock. 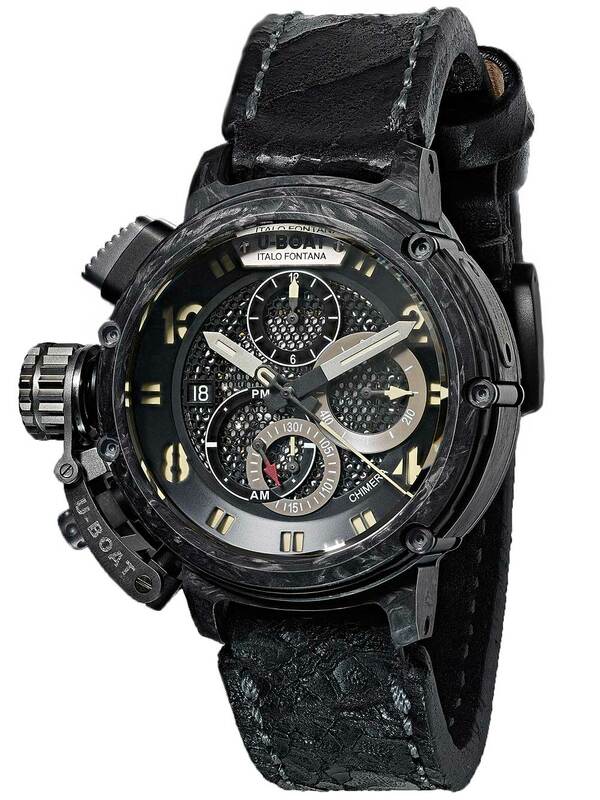 CASE: diameter 48 mm. 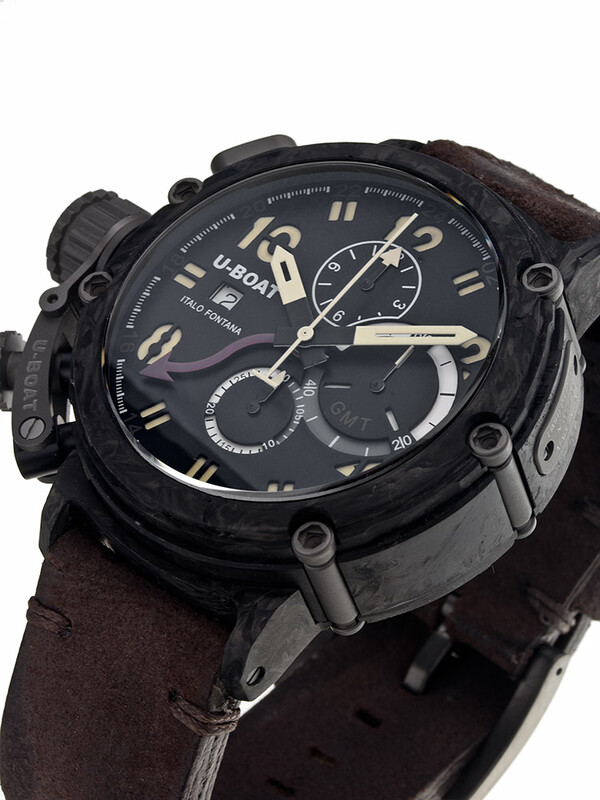 Case body, back case, bezel ring in forged carbon, characterised by high strengh and lightness. DIAL: two superimposed dials, baton hands, treated with superluminova. CRYSTAL: sapphire curved glass on the face and flat on the back of the timepiece. WATER RESISTANCE: 50 [Weiterlesen...] mt, 5 ATM. STRAP: hand made and hand finished calf leather, carefully selected and processed following the traditional artisan handcrafted techniqüs, which give the strap a naturally distressed feel and look. Tongü buckle in titanium.